Human saliva contains an enzyme that initiates the degradation of amylose and amylopectin. 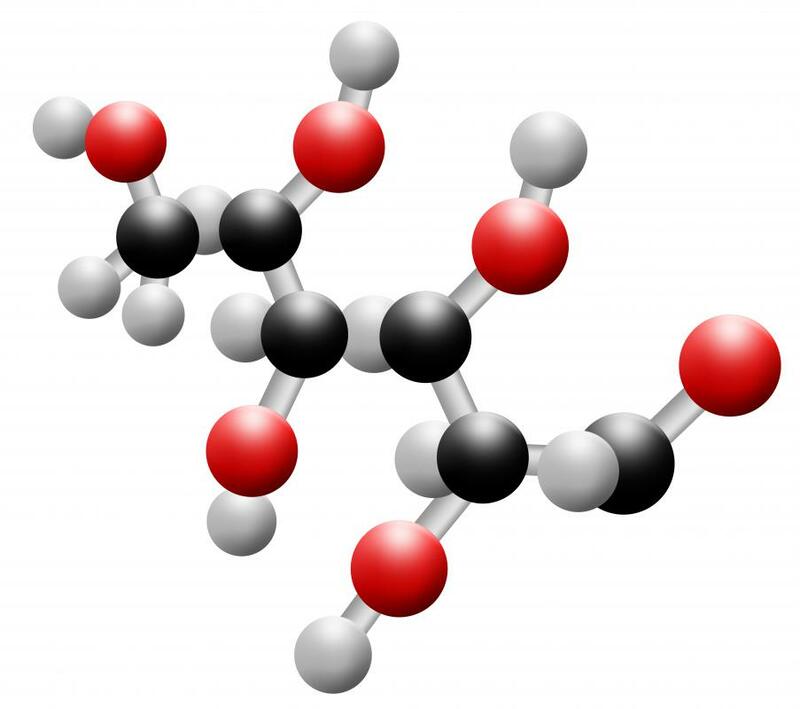 Individual glucose molecules are highly soluble in water and starch molecules are not. 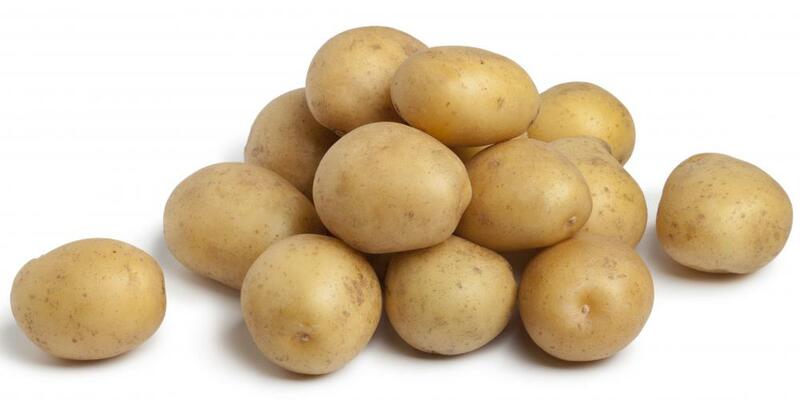 Genetically-modified potatoes varieties with amylopectin have been developed. Amylopectin is a kind of starch, a complex carbohydrate that comprises 60% of the carbohydrates that humans consume. It is a polysaccharide, a long chain of sugars, in this case composed of glucose. In contrast to the mostly linear type of starch known as amylose, amylopectin has many branches in its chain. Starch is produced by plants as an energy storage molecule, and stored in leaves, stems, roots, fruits, and seeds. Many staple foods, such as wheat, rice, corn, potatoes, and cassava, contain starch. Most plants make an excess of glucose. Individual glucose molecules are highly soluble in water, take up a lot of space, and can move in and out of the cell. In contrast, starch molecules are not soluble in water and pack a large number of glucose molecules into a relatively small space. This makes them a good storage molecule for glucose. They have a chemical bond that is easily broken to release the sugars as an energy source when needed. Amylopectin generally comprises about 75 to 80% of the starch molecules of most plants, with the rest being composed of amylose. There are some mutant plants composed of waxy starch that have all of their starch in the form of amylopectin. Examples are waxy rice, maize, and potato starches. This type of starch has a more firm texture and greater strength than the linear kind. In contrast, other plants — such as amylomaize — have starch containing high amounts of amylose. The structure of this starch is similar to that of the animal glucose storage polysaccharide glycogen. The chain length varies from 2,000 to 200,000 glucose units. Branching takes place every 20 to 24 molecules of glucose. Starch is stored in granules, frequently in specialized structures called amyloplasts. The size of these granules varies dramatically between different plants. Though humans can digest uncooked starch, cooking it makes the digestion process a lot easier. Human saliva contains salivary amylase, an enzyme also known as ptyalin. This enzyme initiates the degradation of both amylose and amylopectin, where it is linear. It breaks the chain into smaller fragments and eventually into units of two glucose molecules. This final structure is known as maltose. Part of this degradation takes place in the mouth. The rest of the salivary amylase continues degrading starch in the stomach, until the stomach’s acids inactivate it. Only a small amount of dietary starch is degraded by this enzyme. The majority of it is degraded to maltose and isomaltose by pancreatic amylase. These components are broken down into glucose by the cells of the intestine. Starch is widely used in food preparation, and is also used to make high fructose corn syrup and sugar alcohols. It is used industrially in the paper, packaging, and chemical industries. Amylopectin has properties, such as a greater ability to bond to other compounds, that make it more useful for these industries than amylose. It is used to make adhesives, pastes, and lubricants. What Is the Difference between Amylase and Amylose? In a typical sheet of paper there may be as high as eight percent starch. This makes papermaking the highest non-food related consumer of starch. Most people probably have cornstarch in their kitchen. Pure starch is an odorless white powder that is produced by most green plants and is the most common carbohydrate in the human diet. Starch is consumed in plants, root vegetables, rice, cereals and many other common food staples. Starch is a major additive to some foods as thickeners and stabilizers. In processed gravy, puddings, custards and soups you can usually find starch as an additive. Gummy sweets like jelly beans are made using starch. Large trays are covered with leveled off starch. A mold comes down, leaving jelly bean impressions in the starch. These indentations will be filled with hot liquid jelly bean candy. When the syrup hardens, the starch is sifted away and you have jelly bean centers. After a process of candy coating and polishing, you have a finished jelly bean.